The SILHOUETTE Super Hold range includes a range of sprays, gel, mousses, lacquers and setting lotions. Offering you the hold you need in a format you want. 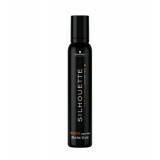 SILHOUETTE Super Hold Hairspray 100g Provides ultra strong hold w..
SILHOUETTE Super Hold Mousse For maximum volume and super hold without burde..
SILHOUETTE Super Hold Pumpspray Provides super hold and great shi..